Mom charged in son's death still on the run, Kevin Quinn reports. HOUSTON (KTRK) -- Court documents are revealing new information about the death of a 3-year-old boy whose mother went into hiding following his death. Police are still looking for Jasmine Jones. The 21-year-old is charged with "injury to a child" related to the death of Jaycion Jones on November 8. 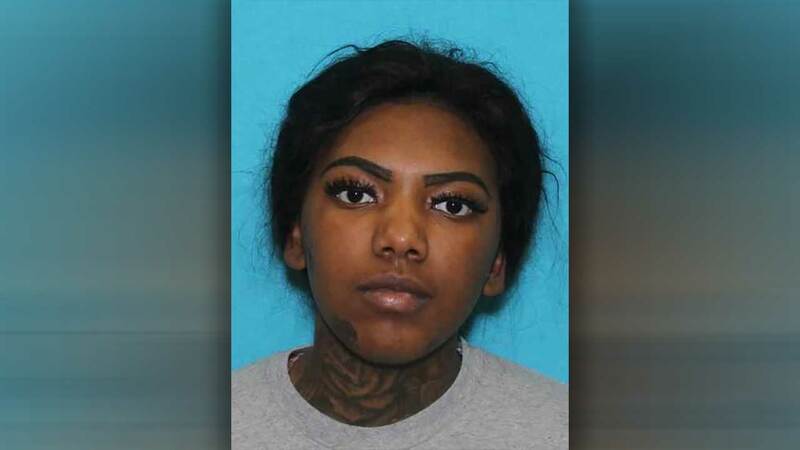 According to the probable cause affidavit, the toddler was living in a west Houston apartment with his mother and her boyfriend, Andre Young. Following Jaycion's death, Young told investigators he spanked Jaycion with his hand and a belt the day before Jaycion died, and that the boy "was bent over a hard structure as he was struck on the back, legs and scrotum." Jaycion's internal injuries were so severe that they led to his death. Court records also indicate not all his injuries were new. During his autopsy, investigators say they discovered some were in "varying stages of healing." "That's pretty bad. That's horrible," said neighbor Gabby Perez. Police are looking for a mother charged in the death of her son in west Houston. According to court records, Jasmine told police she was at work when Jaycion was beaten. The day before his death, she later told police that Jaycion complained of a stomach ache. She said he threw up and never sought medical attention. The medical examiner concluded his injuries "may have been treatable if proper medical attention had been timely administered." That's why police want to find Jasmine Jones. Investigators say she went into hiding after they interviewed her following her son's death. They didn't have enough evidence at the time to arrest her. "Hopefully they find her. That's pretty horrible to have those people running around doing that to kids," said Perez. Police say Child Protective Services just returned Jaycion back to his mother a month before his death. He'd been removed from the home for 18 months. Jasmine told police he was severely burned by scalding hot water while in the shower. CPS won't, or can't, say what happened in that case or what his mother did to get him back. Jasmine Jones is charged in connection to Jaycion's death. As of now, Young has not been charged with any crime. If you know where she is, police ask that you turn her in. You can call Crimestoppers at (713) 222-TIPS or HPD Homicide (713) 308-3600.